But a detailed study in this part of the world isn’t feasible without a fully functioning laboratory. So, onboard the ship with Dr. Schofield is a unique, mobile, air chemistry, shipping-container laboratory, known as AIRBOX or the Atmospheric Integrated Research Facility for Boundaries and Oxidative Experiments. This custom-built laboratory is small—only 2.5 by 2.5 by 3 metres. But within that space it has nine instruments designed to carry out comprehensive atmospheric monitoring—taking measurements in the most remote places. With two expeditions on each of the voyages, Dr. Schofield and her colleagues will measure the summer season while all the Antarctic stations are resupplied. One of the areas of research they are focusing on is clouds. “Clouds are very important, as well as beautiful weather phenomena,” Dr. Schofield says. “By shading and cooling the Earth’s surface, cloud cover plays a direct role in rates of global climate change”, explains Dr. Schofield, based at the University of Melbourne’s School of Earth Sciences and an associate investigator of ARC Centre of Excellence for Climate Extremes. “The concentrations of aerosols in the Southern ocean and Antarctic atmosphere differs from anywhere else on Earth. Their measurement is of great interest to the international climate-modelling community and for the Australian climate more generally,” Dr. Schofield says. In other words…… ‘they don’t know what they’re talking about….’ – the Day and Night effects. End of story. what planet do they live on – do these “scientists” or ex-‘perts ever go outdoors and look around the planet? However, researchers want to know more about the process and understand how best to keep the system working in our warming climate. I can only assume that statement was there to ensure that the grants were forthcoming since they should know that the atmosphere has been warmer in the past than now and everything is still working. Not going to be much night-time then. Every day our atmosphere must find a way to cleanse itself? The atmosphere is alive and sentient? Who knew? So the storm gods really exist. Golly, no mention of the quiet sun and the cloud seeding ability of cosmic rays, or have I missed it? I really do hope that they have on board a good solid pragmatic engineer well versed in the intricacies of the Rankine Cycle. For that is precisely what they are investigating. Aerosols are merely a small aspect of this cycle and determine the range of super heating or cooling involved in the process; but possibly significant. Who knows? I don’t envy the engineer who gets this position. If he/she is honest then the objective of the research could be challenged. Generally these clouds are transmitting a lot of energy up through the atmosphere. The point at which a proportion of this energy gets radiated into space may well be a good subject for the investigation; but I suspect they need to look closely at the Cirrus clouds which are busy dendrically growing their crystals prior to returning to earth for recycling. Hint: If these crystals are growing then perhaps there is a net energy going into space. Just a thought. Sadly the Atmospheric Rankine Cycle has been more or less completely ignored by the scientific community. I think this is due to its inconvenient habit of transmitting energy without the use of radiation. A definite no no in such circles. And as for engineers – well they have to do what we tell them. Fortunately for us they don’t otherwise we would have a lot more bridges collapsing. “And once it gets big enough it will rain out. And then the cycle begins again”. So the cloud disappears when it rains? Not in my back yard! So the only seeding worth mentioning is “… dust, soot and salt, some of which are particularly important for supplying nutrients to the oceans.” Not cosmic rays, bacteria, desert dusts, pollen, wind blown soil particles … etc. So clouds start with aerosols and end with rainfall? Just by observing clouds I know they should find the nature of clouds — how and why they start, their evolution, and their final dissipation — is a little more complex than that to which they seem to elude. 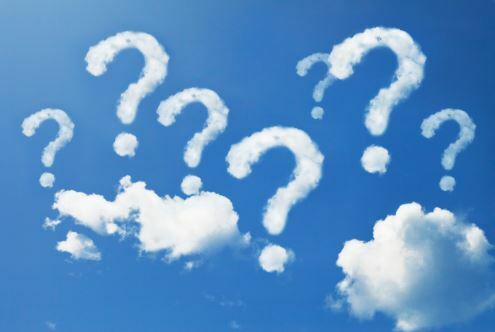 I certainly will be interested in the where, when, how, and why, they define the precise start or the exact finish of cloud(s) — when exactly is it when a cloud has gone? IMO it is not necessarily after it has rained! When you are underneath a thick cloud it will seem a much darker grey colour because, as well as being scattered, most of the light is absorbed before it can get down to the bottom of the cloud. However, to someone standing further away who can see it in the sunlight, the cloud will still look white. Oldbrew – the MetOffice’s response is very slick – it avoids answering the question ‘why are clouds white’, instead it answers a different question altogether. I wonder how many people reading this on the metoffice website realise that they have been tricked, and even less so why? For the greenhouse effect to work as advertised the surface of the earth must radiate as an ideal black body. However, the non-radiative heat transfer processes of the contiguous atmospheric air and water molecules render such ideal BB upwelling radiation impossible. Because the atmosphere and the albedo reflect away 30% of the incoming solar energy the earth is cooler compared to no atmosphere and does not warm it per greenhouse theory. Without the atmosphere the earth would receive 20% to 40% more kJ/h and be much like the moon, blazing hot on the lit side, bitter cold on the dark, a bone dry, gray, barren rock, nothing like NOAA’s frozen ball of snow and ice. No greenhouse effect, no carbon dioxide warming and no man caused climate change. Did you know that the U.S. is the world’s largest oil producer?